Strictly, a council is not in the business of counsel but of deliberation and decision making. 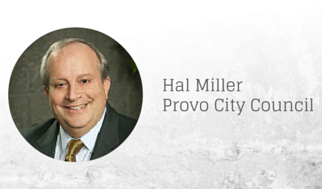 Provo City’s Municipal Council advises the City’s administration and consents (or not) to the administration’s proposals through the legislative devices of resolution and ordinance. The line between advice and counsel (or advise and counsel) admittedly is thin. The boundary may be limned by reference to the policy governance of the Council. 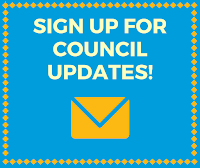 It is typical that the Mayor informs the Council of potential proposals in order to receive advice from its members—advice offered from the perspective of the Council’s policies. Revision and further review of a proposal may follow in an iterative cycle. Ultimately, a proposal is withdrawn, or it proceeds to a Council vote. The public deliberations in which Council members learn about and weigh a proposal are properly occasions for advice-giving—to the administration and to each other—prior to the formal matter of moving to adopt or deny. Again, the advice that is offered in such settings is couched in Council policy. Should a Council member veer from the context of policy in her or his advice-giving, it is a clear sign that she or he has slipped the bounds of policy and is now out of her or his element—“down in the weeds” is a phrase sometimes applied to this predicament. Thus Council members learn to resist the urge to opine to the administration and to each other about details that do not reside in Council policy. To do otherwise is to disrespect the administration’s sphere of operation and the deployment of its own creative lights therein. The Council is not the crucible of clever solutions to vexing problems except its own, and they pointedly reside in its policy-making role. She or he is a cultivated listener and resists volubility. She or he is wary of the ready opportunity to grandstand and shies from the temptation to politicize or propagandize. She or he is a student of policy analysis and seeks a deliberative position informed by data that are reliable, valid, and relevant to the issue at hand. She or he avoids flippancy, sanctimony, and ideology. She or he is available to constituents as requested and endeavors to provide access to relevant resources and appropriate, never-overweening advocacy. She or he is ever-respectful of the limited number of voters who made Council membership a reality and of the possibility that the number of voters who look past the Council’s foibles and value its nonpartisan identity will increase.